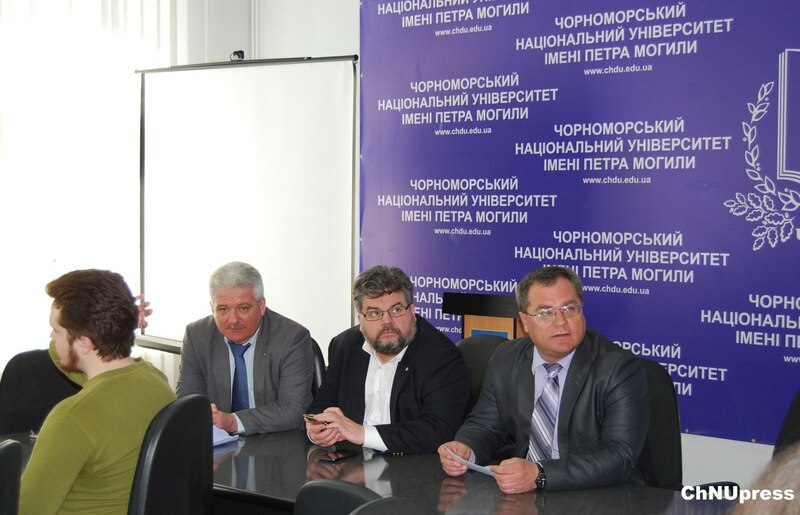 On April 13, Bohdan Yaremenko (Chairman of the Board, Foreign policy, and security expert) and Yurii Smielianskyi (Economics and temporarily occupied territories studies expert, Chair of the Executive Board of the Black Sea Institute of Strategic Studies) visited our University. The “Maidan of Foreign Affairs” was created during the 2013-2014 Ukrainian Revolution of Dignity by the Ukrainian diplomats who openly denounced the actions of the Yanukovych government and the change of Ukraine’s foreign policy vector. This is a non-government organization that serves as both an expert and a civil society platform in terms of foreign policy. Leonid Klymenko opened the sitting. He highlighted that the theme of safety politics and future fate of the Eastern part of our country is very urgent today for everybody. At the University there is a center called “Crimea is Ukraine” that helps all the entrants from the temporally occupied Crimean territory. 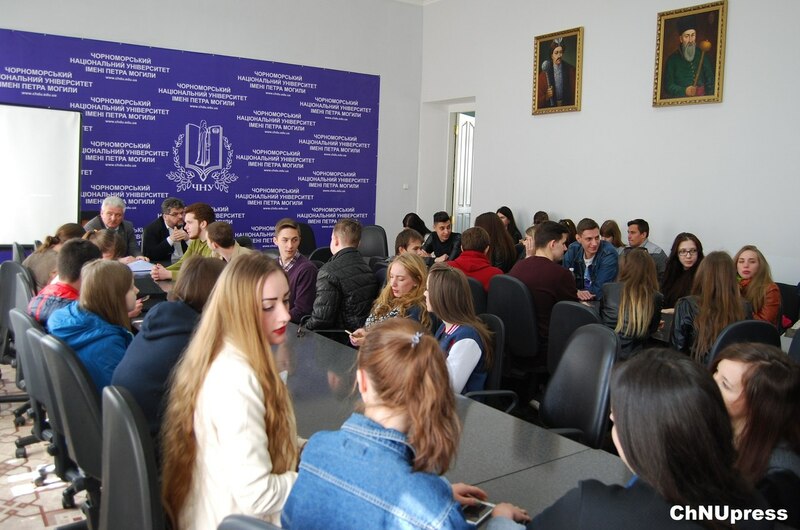 Bohdan Yaremenko told students about urgent problems of safety and foreign policy of Ukraine. He emphasized the importance of enlightenment work among students and youth (especially of the Southern region). Yurii Smielianskyi focused on the following statement: “ Those who own Crimea own the Black Sea.” He told students about the document “ Strategies of Crimean returning”, and about 3 ways which proceeded the Crimean invasion, and about the current situation in the terms of understanding the ways of temporally occupied territory returning.